Hüma is a veteran-owned company that makes 100% all-natural, great-tasting energy gels. It was started in January 2012 by Ian McCollum and Kevin Sherbourne, two young grad-school students who were tired of awful energy gels. Hüma gels were officially introduced in November 2012 and have since become the best-selling all-natural energy gel! Like all endurance energy gels, Hüma is a tool for glycogen supplementation. When you exercise for more than 45 minutes, you run the risk of hypoglycemic shock, a.k.a “bonking”, which basically means your body runs out of its glycogen stores. Hüma provides an alternative fuel source so your glycogen lasts longer. 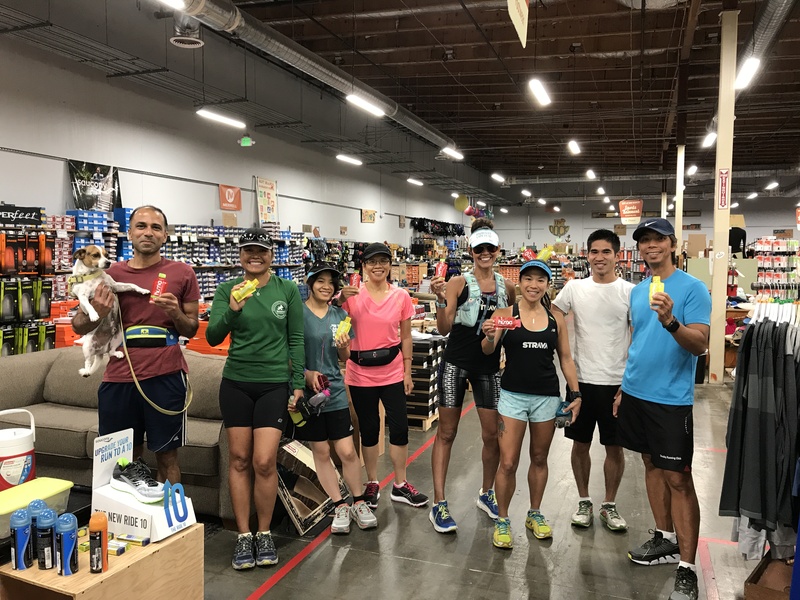 Thank you Huma and Tim D. for donating sample of Huma Chia Energy Gels for our Trivalley Running Club runners to try them out! If you like to buy Huma Chia Energy Gels, [ click here ] for product information. Thank you!